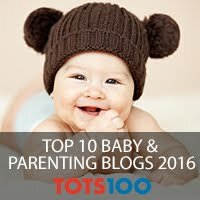 For 18 months, Dylan has been my baby boy, and in all honesty I will probably always think of him as my baby, after all I am still my mum's baby. Since Archie has arrived though, I have realised quite how big Dylan has got. Not only does he seem twice the size he was before the little one arrived, he seems to have turned into a proper little boy as well. It is watching my two boys together that makes me realise quite how much they change in 19 months. As Dylan wanders round repeating the last word of everything you say, Archie watches on, taking it all in. Archie sees the world in black and white, whilst Dylan is busy learning his colours, (although we still get red and green mixed up a lot). 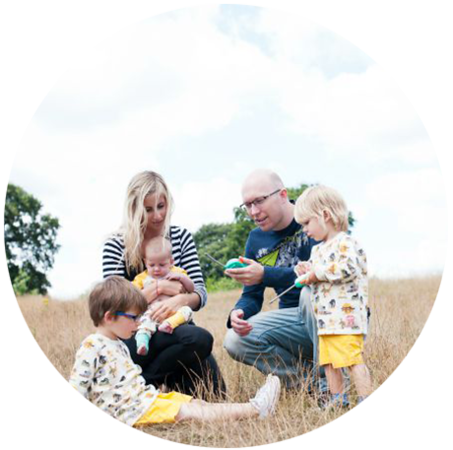 As Archie struggles to hold his head in one place, Dylan is practising standing on one leg and learning to run. Whilst Archie spends his days constantly being fed, Dylan . . . well . . .some things don't change! Dylan has become a proper little chatterbox with an answer for everything. He is curious, mischievous and constantly learning. He has come such a long way from that tiny little baby he once was, and seeing him next to his little brother only serves to remind me of the wonderful first 19 months we have had. Nothing makes your children grow up faster than bringing a younger baby into the house. It felt like my little man grew about a foot overnight, and he suddenly seemed so incredibly clever with a constant reminder of how tiny he had once been and how basic his understanding of the world had been. Just wait until baby bruv bruv is here . 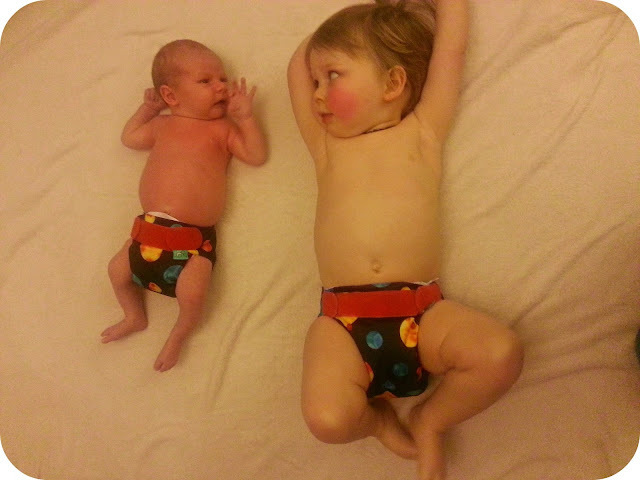 . .
Love the matching nappies! So cute! I think exactly the same! The other day I lay Alfie down next to Milo as I was changing his nappy (he wears one at night still) and it was so weird having them lay next to each other. 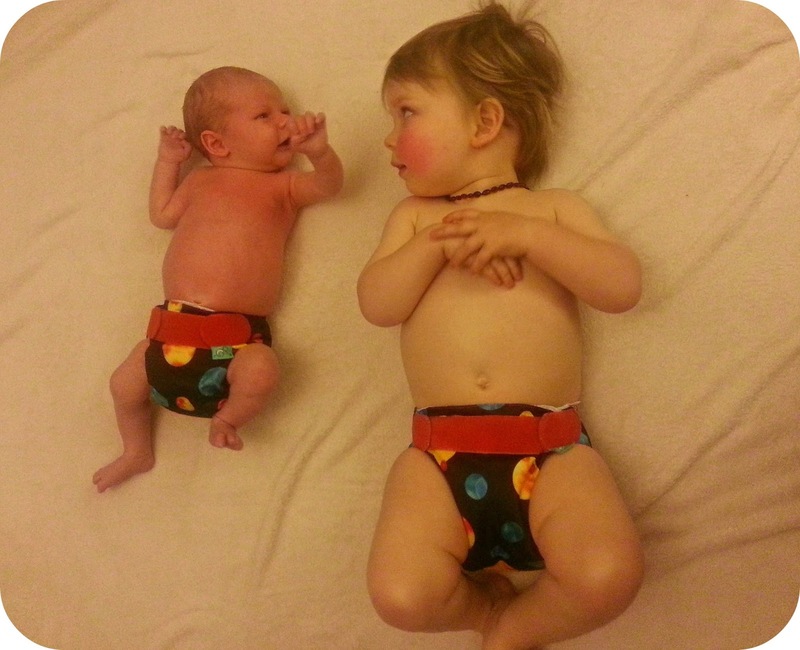 Since having Alfie, it's odd to change Milo's nappy in comparison! Aw, so cute! Amazing comparison. It's like little and large. 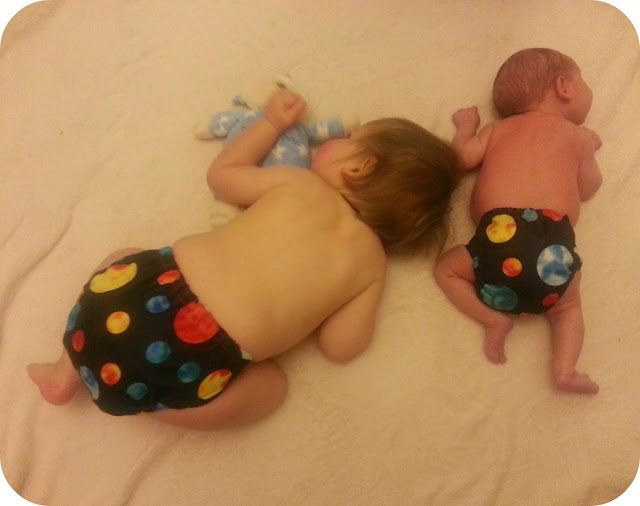 Love the matching nappies! It is so crazy when a baby comes into the house your eldest suddenly seems huge!